I bought this book a few weeks ago. I say book...it's more of a tome. I was inspired by the Great British Bake Off, which, when I heard of it, I thought I might enter; I quickly realised I was massively under-qualified, bearing in mind I have never made bread and my pastry skills are severely lacking. This book is going to help me fill that gap. I anticipate a winter of home baked bread, pies and maybe even choux pastry. But of course, I went straight to the cake section. My first recipe from it was the chocolate custard muffins which the author claims are the best chocolate muffins ever. He is not lying. I have found my new go-to recipe. I substituted the water in his custard for milk, which might account for their very crumbly texture, but I whipped up a batch this evening and frosted them with chilli lime meringue buttercream, which threatened to curdle and was barely salvaged. Hella tasty, though. I don't know that I can copy recipes out of someone's book onto my blog. I don't want to break any laws, especially since it's only been out a month. The chilli lime buttercream was of my own devising, though - the finely grated rind of three limes, a very finely chopped red chilli (absolutely no seeds or pith, so it's a bit of flavour without the heat) and the juice of one lime. Very tasty. 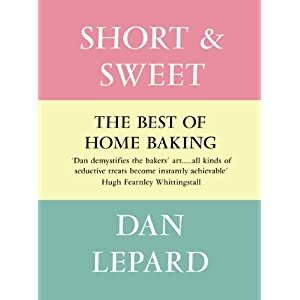 I can definitely recommend this book if you want to become a better baker. The Kindle edition is out next week, too. That sounds like a great book! Choux pastry is really not that difficult. It's a good workout for the arms though.